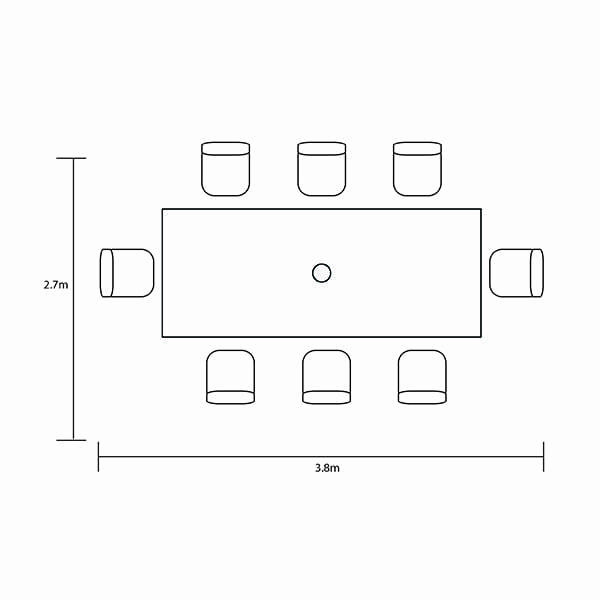 Be the host with the most and entertain your guests using the Capri 8 seat rectangular table dining set. Combining elegant, romantic, classic curves with a solid, smooth finish this eight seat table set can by left outside in all seasons and still look beautiful in years to come. Our generous sized chairs come with attractive Weatherready® cushions you can use all summer long. This set comes with a 3m Parasol, 15kg base and coordinates perfectly with other dining and lounging options in the full Capri collection.